Car-shaped desks are not a new thing and neither are those made from actual cars. 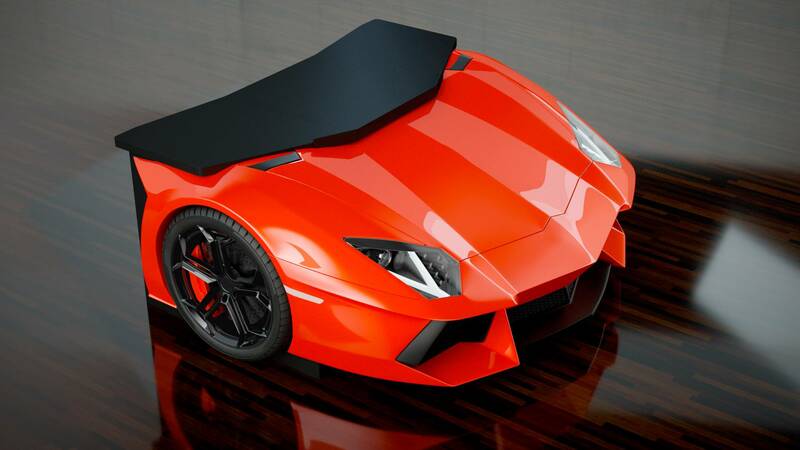 But what do you do if you want your desk to be an accurate replica of a Lamborghini Aventador? If you’ve got the means and you don’t mind attracting raised eyebrows from all over the world, you could slaughter an actual supercar from Sant’Agata Bolognese. But if you’re a true car enthusiast, you would never do that. The solution, then, is to appeal to professionals. Poland-based Design Epicentrum Manufacture is a company that produces racing desks and sofas that use the design of the Lambo Aventador as a base, and we have to admit we’re quite impressed by their products. 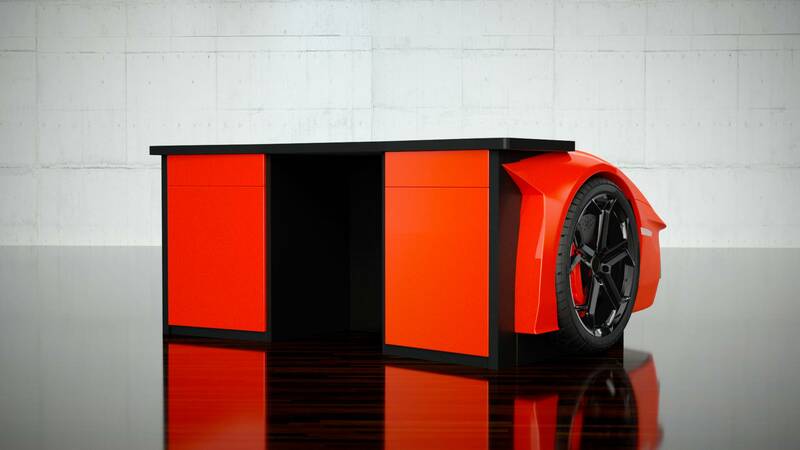 Just check out their latest one, a desk which looks like it’s made from an actual Aventador. The level of detail is spectacular and the only thing that’s missing from this piece of furniture is Lamborghini’s badge from the front hood and wheel centers. Most likely, the manufacturer doesn’t have the right to use it, but we’re willing to overlook that detail because of the way it looks. The desk is 1,900-mm (74.8-in) wide, 1,600-mm (63-in) deep, and 800-mm (31.5-in) high. It’s handmade from fiberglass, it has a scratch-resistant worktop, and it’s available in 200 colors. As options, customers can choose the top and rims in other colors than the standard black and can order accessories such as a glass shelf above the top of the desk or the car’s hood, as well as backlit headlights and LED lighting under the desk. And now for the more painful part, the manufacturer tells us the desk costs €30,000 (around $35,150) and is built to order according to the customer’s exact specifications. While ten times cheaper than an Aventador, it’s still an obscenely expensive desk. On the flip side, it’s much more exclusive than the actual Lambo, as Design Epicentrum Manufacture will only build it in a limited run of 44 pieces.